Over the last few months there have been many questions and much conversation about the popular broadcaster Glenn Beck and his professed Mormon faith. This letter seeks to identify and clear up the confusion concerning both Beck’s stand and about the marked differences between Mormonism and historic, biblical Christianity. Please understand that we do not write these words in an effort to simply be “right” or to win an argument. The purpose of the letter is to determine the truth – something that Glenn Beck himself constantly lauds. The unsuspecting or those less informed are given the perception that, when Beck mentions God, it must be the same deity that is spoken of as the Creator in the Holy Bible. 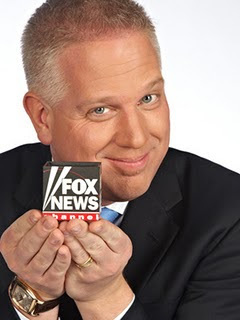 To what extent Glenn Beck is grounded in Mormon doctrine or understanding may be debatable. However, he indeed presents himself in much the same manner as that of an “evangelical” Christian and also consistently states that he is indeed a Mormon. Let us be clear. Each person reading this must be warned that Glenn Beck’s spirituality – which he claims to be the only solution – is not orthodox, historical Christianity in doctrine, beliefs, or practice. “… You have got to learn how to be Gods yourselves, and to be kings and priests to God, the same as all Gods have done before you…” (Teachings of the Prophet Joseph Smith, p. 348). “The appointment of Jesus to be the Savior of the world was contested by one of the other sons of God. He was called Lucifer, son of the morning. Haughty, ambitious, and covetous of power and glory, this spirit-brother of Jesus desperately tried to become the Savior of mankind” (The Gospel Through the Ages, Milton R. Hunter, p. 15). Though the evidence that separates Mormonism from authentic Christianity is overwhelming, just these two examples should give one pause to question whether the Mormon god and Mormonism’s unbiblical Jesus could in any way be construed to be the same as that portrayed in God’s holy word, the Bible. No matter how good the fruit may appear, no matter how much we may agree with his stand on America or politics, no matter how sincere or passionate he may be, we feel it is incumbent on those in apologetics ministry to point out that, if indeed Glenn Beck is a Mormon, he is advocating a religion that is not Christianity in any fashion but instead a false religion responsible for damning the souls of all who follow it. Being close or just using similar terms or phrases do not constitute sound doctrine. These things matter and each of us – Glenn Beck included – need to examine whether we have placed our faith, hope, and trust in the real Jesus who is able to redeem and save a sinner or in one of the many worthless counterfeits such as the “Jesus” of the Mormon Church.